What is the purpose of the louvered panel cupboards without bins? Storage bins provide a great way for a company to separate and keep smaller items for easy accessibility, but for long term storage louvered panel cupboards without bins are needed. 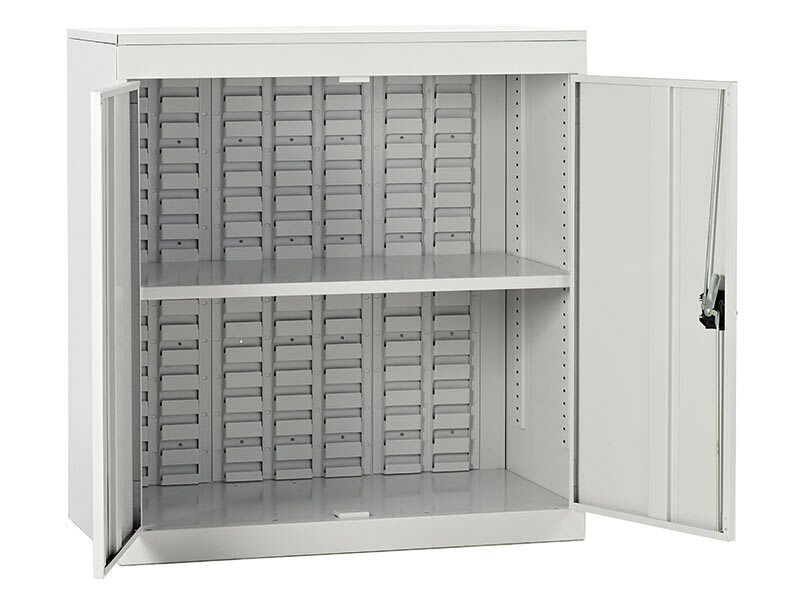 These panel cupboard provide safe, secure storage options for bins when they aren't in use. 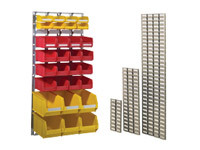 Because of the large capacity of these bins as well as their adjustable shelving, they provide a great way for companies who use bins to keep them safe and secure when they are not in use. Usually, companies that utilize storage bins of various sizes can benefit the most from having louvered panel cupboards without bins. Included in these cupboards are shelves which can be adjusted to meet different requirements and can even be used as additional sorting of bins when in storage. The high security lock makes it a formidable level of security for tools and other smaller items that may be located in these storage bins. The most common users of these louvered panel cupboards without bins are smaller hardwares and retail locations. Their inventory may consist of smaller items such as screws and nuts and bolts that can be easily taken if left unguarded. These louvered panel cupboards provide a secure solution for the storage of these items after hours. Jewellery stores also have certain smaller items stored in mini storage bins and this provides a certain level of added security (in addition to the store's built in security system) for the storage of these items overnight. These louvered panel cupboards without bins come with louvered panels on the back for easy storage of bins. They also come with either one or two shelves (depending on the model). At maximum capacity, these shelves accept up to 78kg. Depending on the needs of the company, the cupboard height and shelf height can be varied as well as the colour of the doors. The doors themselves come with three point locking capability as well as a vertical stiffener for strength. These items are delivered fully assembled to the client.